"MUY CONFORME CON LA RAPIDEZ EN LA ENTREGA Y TODO MUY BIEN EMBALADO." Emerald in the matrix in rough. It is a beautiful specimen of rough emerald with crystals embedded in its natural matrix. This beautiful piece of emerald weighs about 2,3 kilos and measures about 10 cm x 17 cm x 10 cm. UNIQUE PIECE. Pack of one kilo of raw aquamarine. They are pieces of varied sizes of raw aquamarine that can be bought in one kilo packs. Each kilo of aquamarine contains between 3 to 7 pieces of varied formats. They are pieces from Brazil and totally natural. 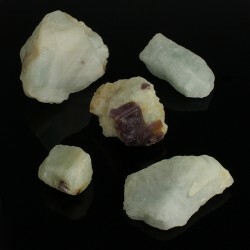 The pieces in the photo are a general sample of the quality of the pieces of aquamarine and form a kilo. 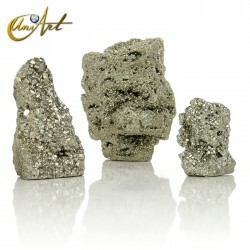 If you love collectable crystals, this category is focused on selling rough mineral specimens for collectors. 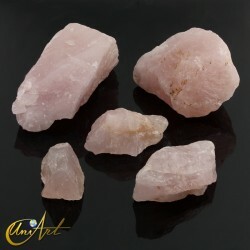 We have rainbow quartz, blue quartz, green quartz, rose quartz, hematite, sodalite and kyanite. 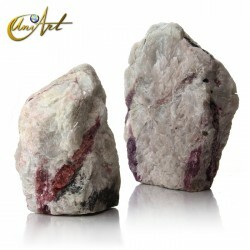 All minerals are rough and many of them have cutted-base so that they can be placed standing as in an exhibition.